Thank you very much for visiting HGH-Pro, I hope you find this site helpful. I have done my best to provide the truth about human growth hormone and the different types of products available, and I have tried to present the information in a way that can be easily understood, however, if you have questions please let me know. 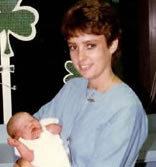 I received my license to practice registered nursing in 1983. My first years were spent working in neonatal and pediatric intensive care. I then became a traveling nurse and worked in various areas of medicine, up until I sustained a neck and back injury while lifting an adult patient. After the injury I wasn't able to work. A few years later I tried homeopathic HGH for the first time. I was very surprised with the results as I didn't expect it to help my injuries at all. Instead it helped and impressed me to the point where I wondered why my doctor and I had not heard anything about it being used in adults in this way before. I had experience giving it to children but not adults so I started learning everything I could about the use of human growth hormone in adults. I thought people should know about homeopathic HGH as a safe alternative to injections because I felt it could help so many people, not just with anti-aging but also people with health conditions, and I wanted to help get the word out, and that is how this web site began, back in 1999. Before homeopathic HGH proved itself to me I did not believe in homeopathy or any other alternative therapies. I had the same negative opinion that many in modern allopathic medical professions have, without ever giving it a chance. Once it worked so well for me I realized just how narrow minded I had been. I founded HGH-Pro to provide honest and accurate information about human growth hormone and HGH therapies and to offer the absolute best clinically tested non-injection products available. I have now been working with HGH and anti-aging products for the past 19 years. Please see the link below to read more specifics about my experiences with homeopathic human growth hormone. How Homeopathic HGH Spray Helped Me. Regarding human growth hormone therapies, for many years it was thought of as only a hormone needed for the proper growth and development of children. Thanks to groundbreaking research we now know that it is very important for adults also. After we reach adulthood our hormones begin their decline and this decline plays an important role in bringing about many of the effects of aging. We have been supplementing other hormones for years, and hopefully we have now finally realized what an important role human growth hormone plays in the continued good health and fitness of adults. Research has shown without doubt if we can boost our HGH and growth factors to a younger and more healthy level, and help our body to better utilize these substances, we can improve our health and fitness and reverse many of the effects of aging. Once you decide that you do wish to improve your HGH you will be faced with the decision of which therapy to take. Some wishing to sell you prescription-only injections may tell you that only the injections are effective, which is not true, and with the many different products now being swiftly brought into the market with heavy advertising and claims in order to cash in on the anti-aging craze it can be quite a challenge trying to get to the truth. As a registered nurse of 36 years I consider legitimate independent clinical studies that measure a therapy's effectiveness at actually increasing growth hormone in the body, as well as safety, to be of paramount importance when choosing a product. In independent randomized double-blind placebo-controlled IGF-1 clinical studies the HGH formula I take and recommend increased the IGF-1 levels of test subjects more than any other non-prescription formula independently tested. A random IGF-1 blood test is usually done to measure growth hormone in adults as it does not require a stimulation test, most of the HGH is converted into IGF-1 by the liver, and IGF-1 remains in the blood long enough to be measured. The physician who heads our research and development team developed the first effective homeopathic hormone sublingual spray delivery system and he formulated the first homeopathic hormone re-balancing medicines for the treatment of the symptoms of aging. His formulations of our ProBLEN products are based upon his latest research and development. Although our human growth hormone products come with a 100% money back guarantee, based on client feedback and our very low return rate most of our clients see benefits in the first 30 days. Please see the many testimonials from our clients. We never solicit or pay for testimonials, however, because I spend much of every business day conversing with clients, some will email or call to let me know how they are doing. I enjoy very much hearing their good reports. If you do choose HGH-Pro as your source for human growth hormone therapy please know that we will be happy to have you as a client, and because we offer free consults to all HGH-Pro clients for as long as they remain on our products, any time you have a question or concern please phone or e-mail us. In closing, I would like to say that I do always recommend everyone consult their private healthcare provider about taking any health products, and follow his/her advice.